We can’t see through stone, but through tricks of light and polish, Raffaelo Monti created the illusion that we can. On his Veiled Lady, the top of the head and shoulders are polished smooth, to reflect light. But where the veil falls across the face, the marble is less polished. It reflects less light, suggesting the texture of fabric. 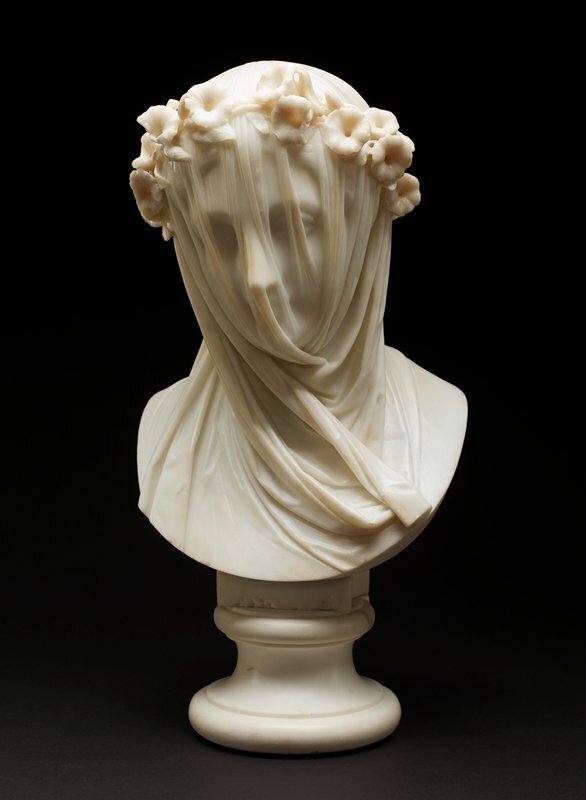 Sculptures of veiled figures peaked in popularity during the 1700s in Italy, an opportunity for sculptors to show their technical mastery over marble. About a century later, Raffaelo Monti and other artists revived this technically demanding tradition.